But an all-time high of eight South African’s, including past winners Charl Schwartzel and Trevor Immelman, will be determined to master “the thinking man’s golf course” and spoil the world number one’s return to form... Oh, and the field also includes the likes of Rory McIlroy, back on song with a second-place finish in last weekend’s Texas Open, three-time champion Phil Mickelson and, perennial favourite of the British press, Ian Poulter. By KEN BORLAND. While the revitalised Tiger Woods is favoured to close to within three of Jack Nicklaus’s record 18 major titles when the Masters gets underway this evening, Branden Grace and George Coetzee will make their debuts at Augusta, lifting South Africa’s representation in one of golf’s most hallowed events to an all-time high of eight. The pair will join compatriots Tim Clark, Louis Oosthuizen, Ernie Els, Charl Schwartzel, Richard Sterne and Trevor Immelman in an event that has seen five South African triumphs – Gary Player in 1961, 74 and 78; Immelman in 2008 and Schwartzel in 2011. The last player to win on his Masters debut was Fuzzy Zoeller in 1979 and, although Oosthuizen was edged into second by Bubba Watson in a playoff last year and Els is the reigning British Open champion, the spotlight has been elsewhere. 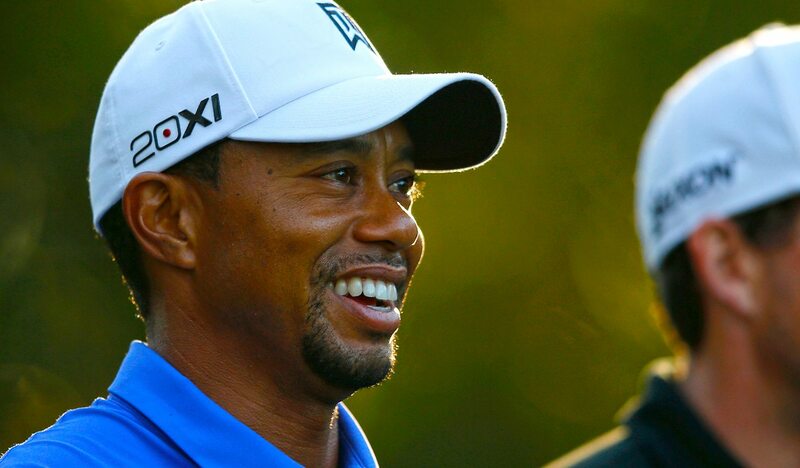 Woods, who has risen like the phoenix back to number one in the world, is the clear favourite, bringing both great form – three wins in his last five starts – and tremendous pedigree, having four previous Masters titles, to the tournament. Even Nicklaus backs Woods to kick-start his quest for 19 major titles again. “If Tiger doesn’t figure it out here, after the spring he’s had, then I don’t know. I’ve said, and I continue to say it, that I still expect him to break my record. I think he’s just too talented, too driven and too focused on that. From this point, he’s got to win five majors, which is a pretty good career for most people to start at age 37. But I still think he’s going to do it, he’s in contention every year,” Nicklaus said. The other contenders are Rory McIlroy, who returned to form with a second-place finish in last weekend’s Texas Open, three-time champion Phil Mickelson and, if you believe the British press, perennial favourite Ian Poulter, even though the Ryder Cup star is battling allergies as practically everything is blooming at Augusta at the moment. This year’s Masters will also see the emergence of a stunning new talent who could not only be the successor to Woods but also the precursor to the Chinese dominance of the game many have predicted. The 14-year-old Guan Tianlang will smash Matteo Mannesero’s record of being the youngest golfer to play in the Masters by two years and the youngster has impressed all and sundry in the build-up to the Major. The son of a keen seven-handicap golfer, who knew his boy was something special when he beat him aged seven, Guan qualified for the Masters by winning the Asia-Pacific Amateur Championships in November. Woods and two-time champion Tom Watson were among the legends he played practice rounds with, and both came away with the impression they were in the presence of future greatness. “I enjoyed playing with Guan, he has good tempo, his rhythm is very good. Once he grows a little bit, he will be able to get the club faster. He will use a different swing plane when he gets taller and stronger,” Watson said. The importance of course knowledge is magnified at Augusta, where the slopes on the fairways and greens are far steeper than the television coverage portrays. It really is the thinking man’s golf course. “There isn’t a single hole out there that can’t be birdied if you just think, but there isn’t one that can’t be double-bogeyed if you ever stop thinking,” was the famous quote of Bobby Jones, the Masters co-founder and winner of seven Majors as an amateur. The veteran Els gave the rookie Grace some words of advice before the tournament and he used the Jones quote. “Overall I’d say it’s a tough golf course to learn in a hurry. I’m sure this will be the first of many visits to Augusta in your [Grace’s] career, so try to enjoy it and soak it all up. There are certain ‘crunch shots’ at Augusta where the tariff is very high and from one to 18 there is no other course where the margins between a birdie and a bogey are so small. You have to commit to your shots and be aggressive to your spots, even if that’s 25-feet right of the pin. “You’ll know already that the slopes are more severe than they appear on television, so you hit a lot of iron shots from sloping lies and you’ve got the big elevation changes coming into some of those greens. The wind can switch around, especially in Amen Corner. In Grace’s case, his short game, especially his lob-wedge, is impressive, but what is also relevant is that he is comfortable playing a high draw, which Augusta favours. Apart from the advice from Els, Grace has also played a practice round with no less of an authority on Augusta than Player. “I’m hitting the ball like I did in January again and I’m ready. Excitement will take care of the rest. It’s an experience I’ve never had before, Augusta and the Green Jacket is the most special of them all because of the history and South Africans having done well in the Masters in the past. “I’ve been given some great insights in the practice rounds and everyone has just tried to help George and I as much as possible. Obviously I was disappointed to miss the cut in my last Major, but there was a little bit of extra pressure then because I had come in from nowhere really. “Now I’m not worried that I have to go out and play well, I’m not worried about what people think because I’m number 32 in the world and I can just go out and enjoy myself. I’m in a good place,” Grace said.